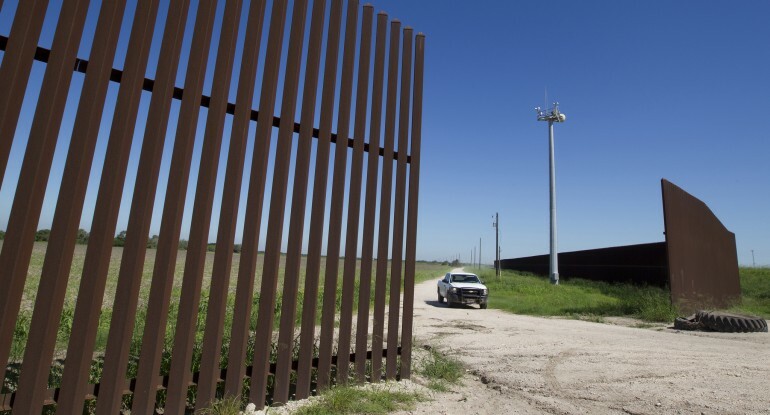 Why Is a Physical Border Barrier Important? So here we are, during Christmas week, and things are a mess, with the 25 percent of the federal government that is now unfunded shut down because no agreement could be reached in Congress. Right before the shutdown, Senate Minority Leader Chuck Schumer, pushing back against the bid to add border funds, railed that what the nation needs is "...smart border enforcement, not a medieval wall." Any number of members of Congress, including Democrats, have backed alternative solutions to a wall in multiple pieces of legislation that went nowhere — usually because these border security strategies were coupled with an up-front amnesty, while the actual funding for enforcement was always somewhere up the road. Such strategies involve lots of whiz-bang technology: drones, additional sensors, FLIRS, towers, etc. etc. This is usually referred to as the "layered defense" strategy of border security. In fact, in my criticism of such bills, I've referred to them as Christmas lists of toys because they are so heavy on technical equipment. First, when you are relying on technology to detect intrusions, you still need human beings, thousands of them, to actually take border crossers into custody. I have yet to see cyborgs or androids capable of making arrests. Believe me, the cost of training and putting even a single agent into uniform with badge and gun, then paying for 20-25 years' worth of pay increases and then a federal annuity after that, is an expensive proposition. Second, if you are arresting aliens (which will by definition happen on our side of the line since I don't know of any morally acceptable technology to keep them across the border — you know, short of horrifying things such as electrified or mined areas, etc.) then the question arises of how much detention space you will apportion to the arrested aliens, and what your tolerance is for holding minors and partial family units in custody, possibly for extended periods. Yet if you let them go, as happens now routinely during the "catch-and-release" follies the government is forced into, then all of the billions spent on technology and agents was pretty much for nothing. Third and finally, sometimes I laugh about this insistence on the importance of sophisticated intrusion technology when we've reached such a state that many aliens cross the frontier and immediately seek out Border Patrol agents to turn themselves in, knowing that our rules have become so dysfunctional that it's to their advantage to game the system. They understand our immigration system's ineffectiveness at expulsion and removal in ways that many ordinary Americans do not. That's what a border barrier does: it blocks people out. Not all people all the time. But many. Tens of thousands. And if a wall (or steel slatted fence or whatever becomes the nom du jour) does that, many of the other dysfunctions — and, no less importantly, taxpayer costs, and amount and adequacy of detention space, and strains on social service systems — begin to ameliorate, buying the system time to heal itself and, maybe some day, we will have a Congress willing to enact meaningful legal reforms to the way our immigration laws are structured. I'm not such a troglodyte that I don't believe at all in the need for good, proven technology. I do. Likewise with an adequate corps of both border and interior immigration agents. But if the barrier does its job, then theirs will become ever so much easier. That's why, whether or not Mexico pays for the wall, and despite all the demagoguery on all sides of the debate, the time has come to put it up.